Diversified Canadian auto supplier Magna International Inc. posted a gain in third-quarter operating profits while acquisitions and new production programs helped fuel a surge in revenue. Magna, the largest North American parts maker, today reported profit from continuing operations of US$503 million (Cdn $673 million), up seven per cent from the year-earlier period. Total net income dipped 13 per cent, in part because of the company’s 2015 sale of its interiors unit to Grupo Antolin for US$525 million (Cdn $702 million). The Markham, Ont., supplier said its 2015 acquisition of German transmission supplier Getrag helped offset the negative impact of slowing production volume in North America and Europe. The company reported revenue of US$8.8 billion (Cdn $11.77 billion), up 16 per cent from a year earlier. Sales in North America and Europe rose significantly, in part because of the Getrag acquisition. Magna also attributed the gains to the launch of new vehicle programs in both regions. Asia revenue also increased on program launches and acquisitions, offsetting weak foreign currency exchange. Revenue from the company’s complete vehicle assembly unit slid four per cent to US$503 million (Cdn $673 million), due in large part to a decrease in Mini Countryman and Paceman production. Magna’s tooling and engineering business posted a seven per cent decline in revenue to US$658 million (Cdn $880 million). Magna revised its annual outlook on North American light-vehicle production downward to 17.8 million units, compared with its second-quarter estimate of 18 million units. The estimate of European production rose to 21.5 million units from 21.4 million. 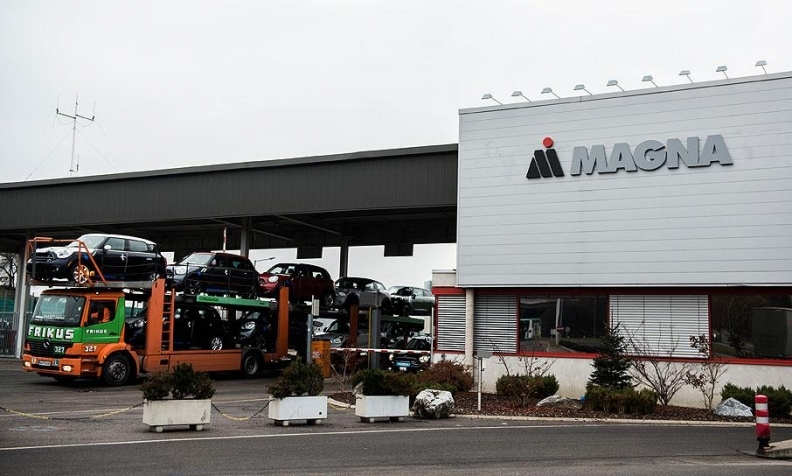 "Our expectations are a little bit more muted than what they would have been eight or nine months ago in terms of production growth in the major markets that we operate [in]," Magna CEO Don Walker said on a call with analysts and investors. "Having said that, we're still thinking that production is going to be flat or up in our most important markets, and continue to grow in China." Magna cautioned in its earnings release that the outcome of the U.S. presidential election on Nov. 8 could create risk for the industry, as could the United Kingdom’s eventual exit from the European Union. Magna ranks No. 3 on Automotive News’ list of the top 100 global suppliers, with worldwide sales to automakers of US$32.1 billion ($42.9 billion) in 2015.